The guests informed the Uzbek side with the successful experience of Wargaming to promote computer games around the world. Minister for the development of information technologies and communications of the Republic of Uzbekistan Azim Akhmedkhajayev met with representatives of Wargaming (Belarus), the producer of popular games like World of Tanks, World of Warplanes, World of Warships. The guests informed the Uzbek side with the successful experience of Wargaming to promote computer games around the world. 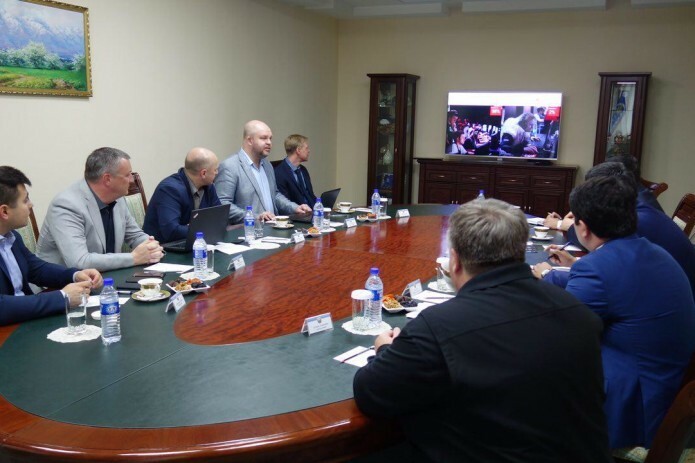 They also discussed the possibility of establishing mutually beneficial cooperation in the development of computer games that promote the patriotic education of young people. It is planned to hold a number of meetings at JSC "Uzbektelecom" and Mirzo Ulugbek Innovation Center, in order to get acquainted with the experience of Wargaming in the field of promotion of computer games that can develop modern communication technologies.